Willowbrook looked nice in those days! Not sure what it's like today (generic and banal like all the rest?). I really dig that cool lighting fixture over by the phones, too. That's a beauty. The mall is still around and their current website is right here. It's all about that light fixture. Willowbrook was revamped sometime in the mid-80s. Couldn't tell you the exact year, but it was after the big flood in '84 (the mall is in a 100-year floodplain, and there were newscasts done from boats in the parking lot) and before I started high school in '87. And they have a Lerner shop, too. I remember shopping at a Lerner shop in Mississippi in the 1970s. Was Lerner a chain and does anyone know if they still exist? Yes, Lerner is a national chain and they also have a catalog division (Still called Lerner). Their retail/mall division has been retitled 'New York & Co", and has seen a return to some malls it left in past years while still under the "Lerner / Lerner New York" banners. Nice to hear that Lerner is still around. I live in Wayne and I go to Willowbrook a lot, although I'd rather go to Bridgewater Commons or the Garden State Plaza. It is a very crowded mall and very hard to get a parking space. The Lord and Taylor is very busy, and so is the new Bloomingdales that took over when Sterns got taken over by Macy's three years ago. The Sears and the Macy's are also very popular. You need to find a picture of the original center mall fountains. Lot's of water with bridges and stairs and random ledges throughout. (yes, i am totally late to this party.) 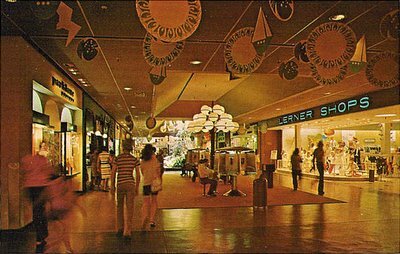 there were so many wonderful things about willowbrook mall, not the least of which was Smuggler's Attic, a head shop, that sold bongs, pipes, screens, etc (along with home decor such as candles, stretched pepsi bottles, and beaded doorway thingies). a head shop at the mall...I miss the 70's! I remember the "old" Willowbrook Mall from the 80's. I can still see the blue fountain that was in the middle of the mall and I do remember the little blue fountain that was over by Sterns. That was the one that was under the staircase. If anyone can get those pics.... post them! 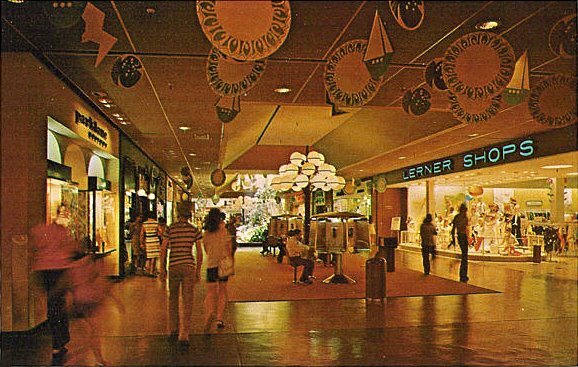 The mall has changed a lot over the years and to be honest, I miss the the old design and decor of the 70's and 80's. I remember hanging out in Willowbrook back in 1969-1970 and someone putting Mr Bubble in the fountain! OHHH - I remember those phone banks too! they were the precursor of your current "social networking" craze. When you couldn't get to the mall to hang out you would just call and talk to whoever answered. Lots of hookups happened that way! They eventually changed the phones so they could not receive calls, and then removed them completely. I never could figure why they would need dozens of pay phones in a shopping mall anyway! I totally agree about the coockie machine!!! I used to work in the mall n used to get them. they were the best cookies ever!!! they were on the corner connected to the croissant place. the best cookies ever!!! mrs fields comes close but not better! Loved those fountains with the stairs and the ledges! Used to eat at Zum Zum hot dog restaurant on the second floor overlooking the fountain. They had a Children's Place store with a funny mirror and a tunnel you could crawl through. We also used to eat at Zum Zum's everytime we went shopping there. I used to go shopping at Willowbrook Mall in the '60's on through the '70's. Once in a blue moon, we will stop in there for stroll around. Willowbrook Mall Smuggler's Attic and the Cookie Machine. Oh my gosh to go back In time to the 70's and 80's one can only wish. 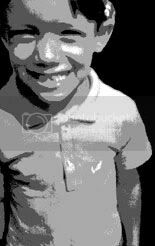 The best times of my life!!! Does anybody remember seeing birds flying around in Willowbrook Mall? When I was 12 or 13, my friends and I would steal parakeets from Woolworth's pet department and let them loose inside the mall. Hahaha! I remember the center court ceiling of Willowbrook Mall in the early 1970's. It was painted matte black and had "fluorescent" colored "tie dye" designs on three dimensional square tiles. Something that you would use with a blacklight. Very psychedelic motif representing the time period. Would love to see pics of that again. I met my wife on those telephones. We've been married since 1973! Willowbrook Mall had the BEST Pizza around... Sgarlatos... where Cheesecake Factory is today. I'd kill for one of their pizzas today!